Wars are not one or lost on just a single battle. Sure, there might be one, climactic event that ends things, but there's a long chain of other battles, logistics, secret missions, intelligence, and other such along the way that got to that battle. In Star Wars: Rebellion, you have to complete missions in order to advance your military's agenda and gain the upper hand. 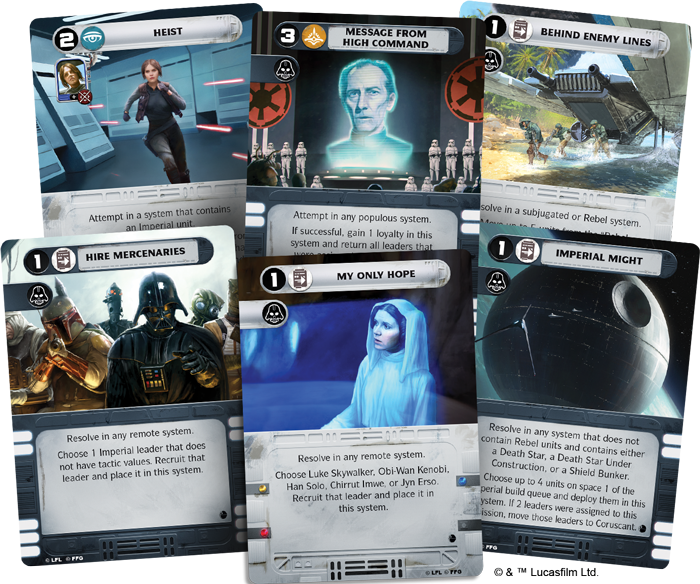 Well, a new expansion is coming out soon called Rise of the Empire. In this preview, Fantasy Flight Games is showing off some of the new missions you'll be going on.